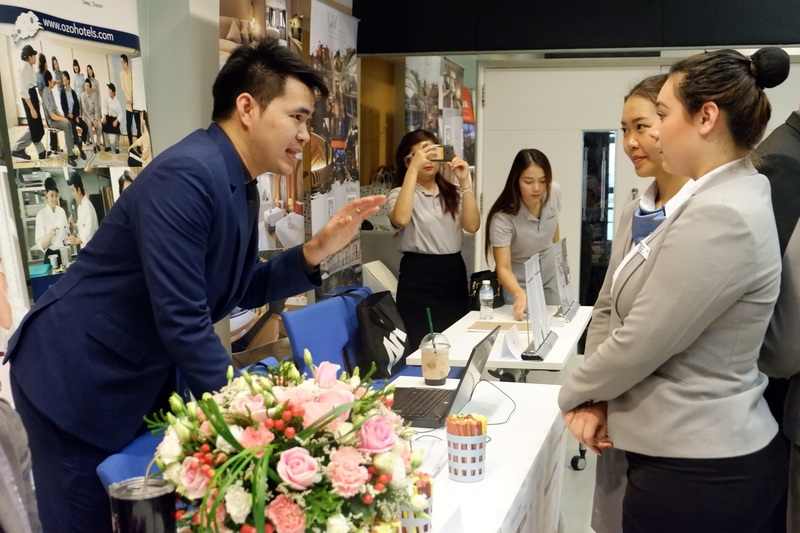 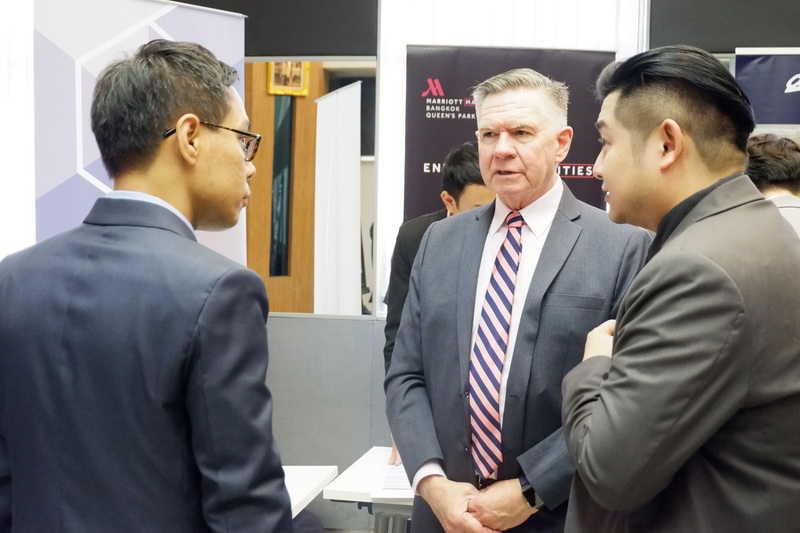 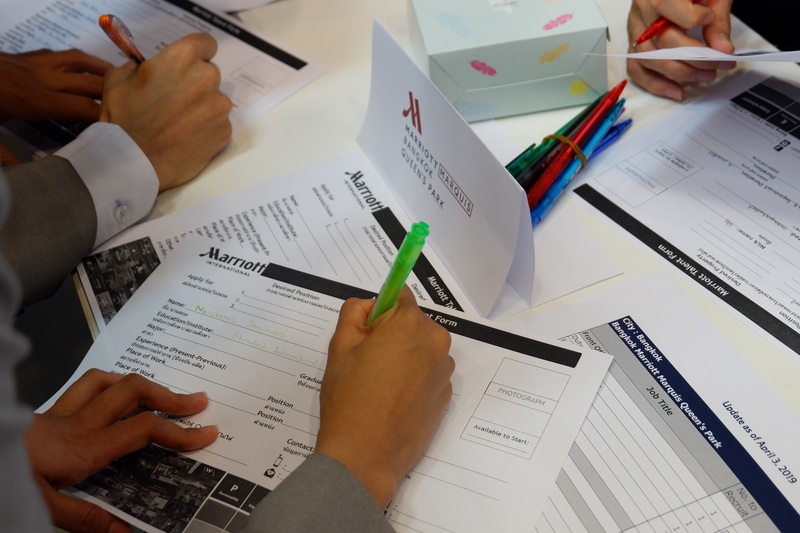 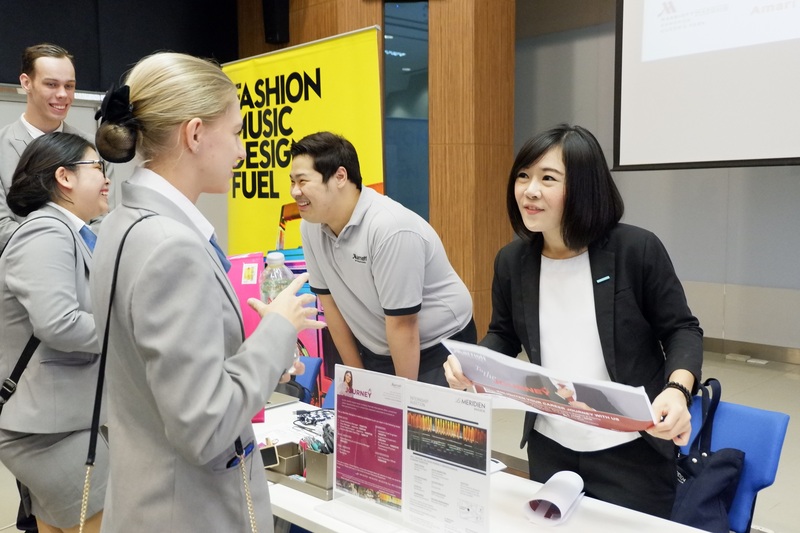 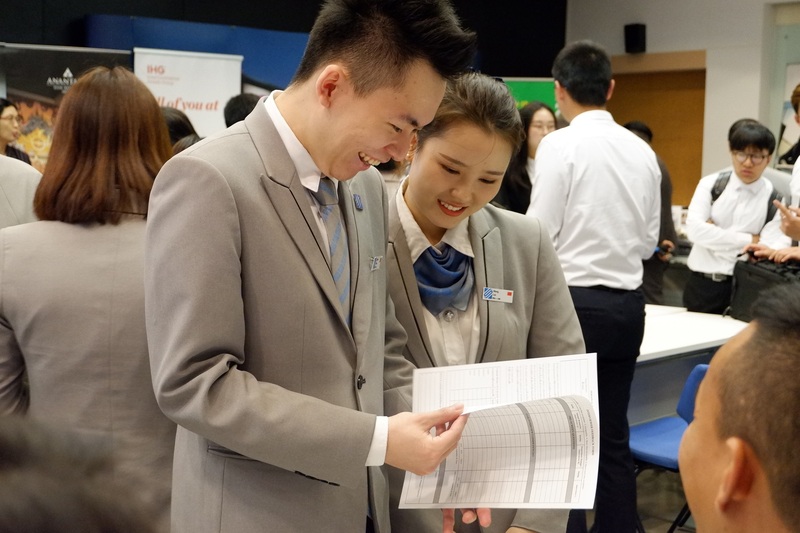 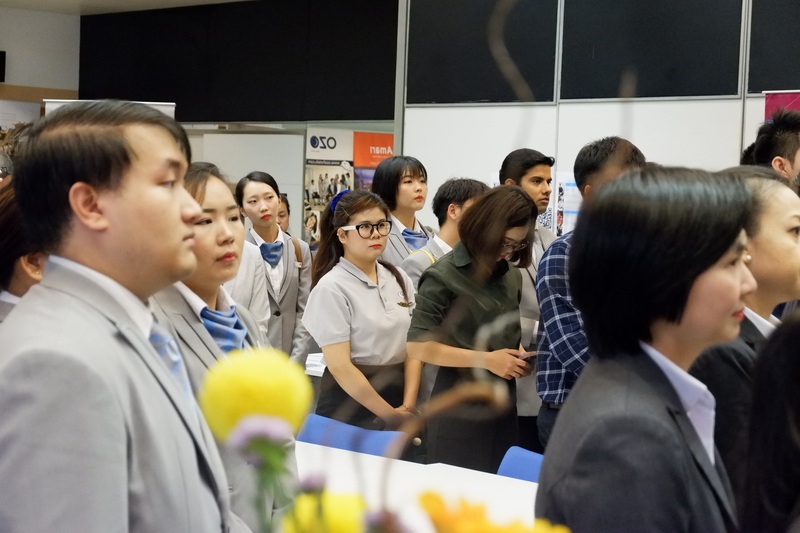 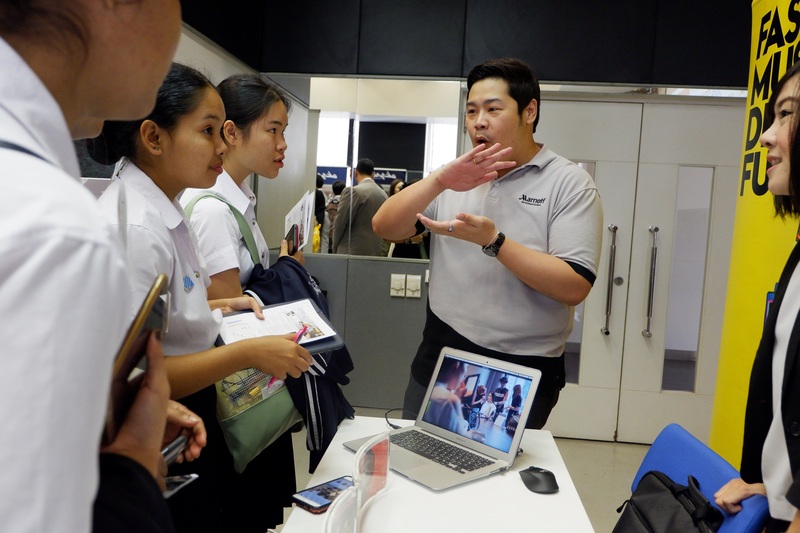 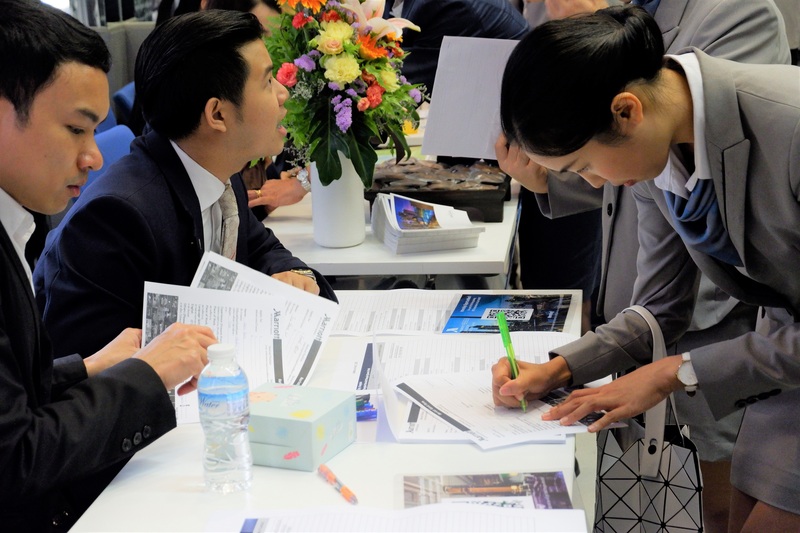 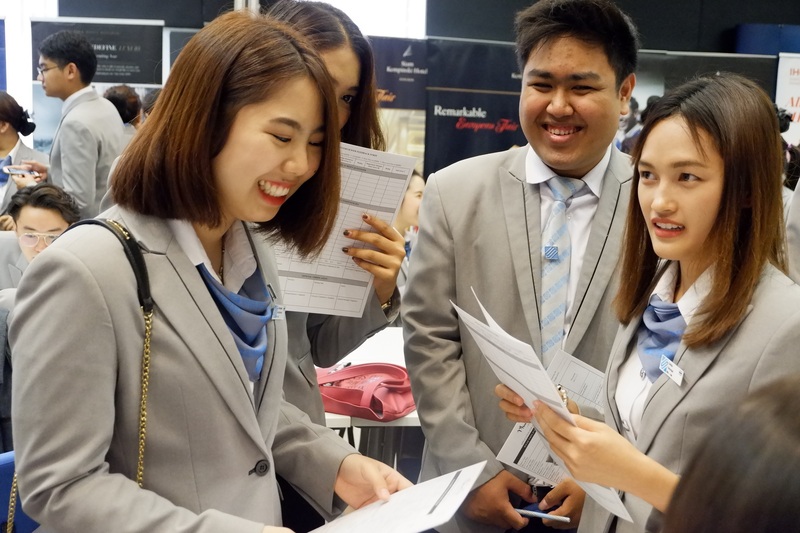 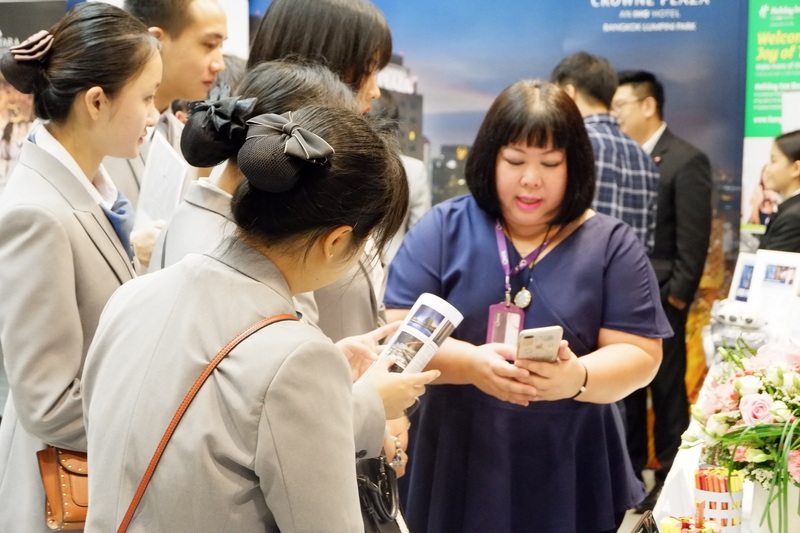 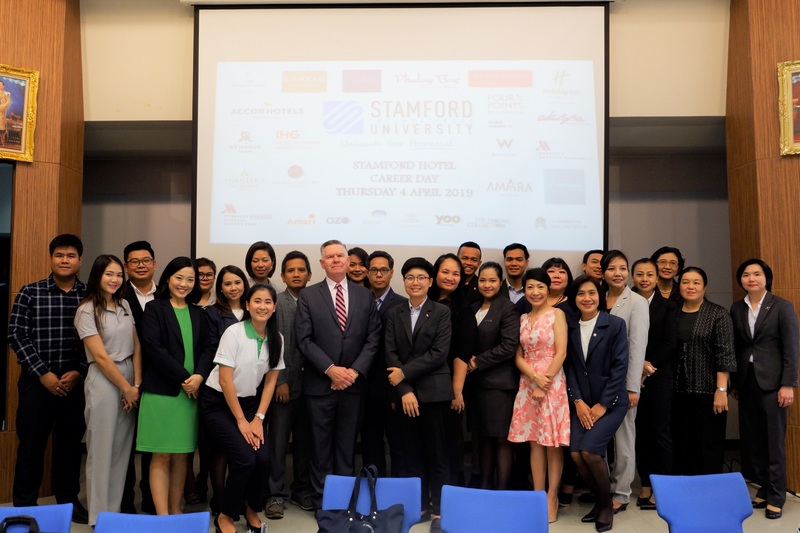 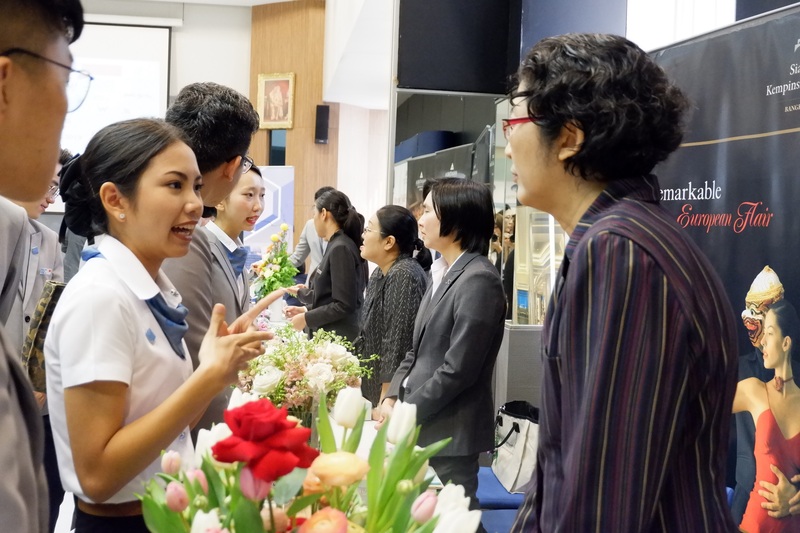 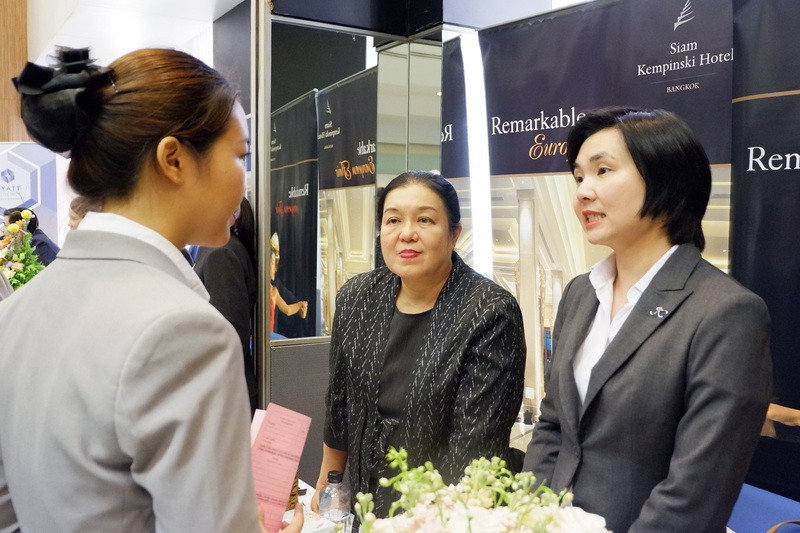 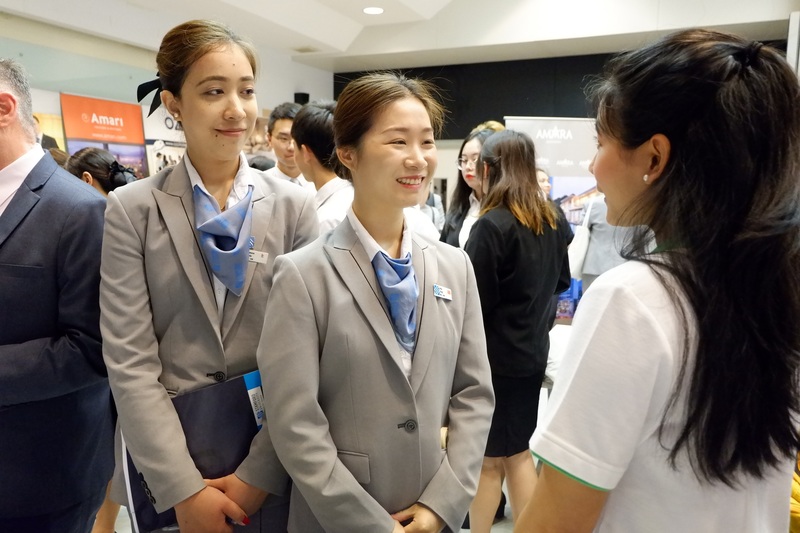 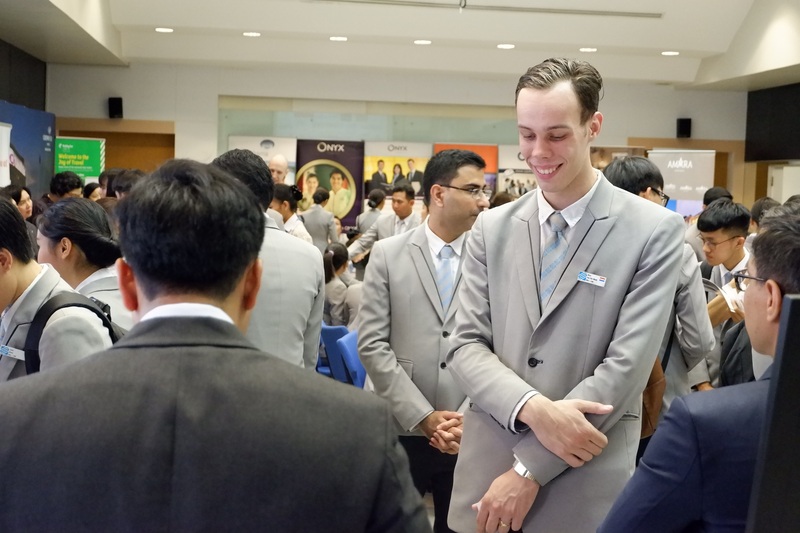 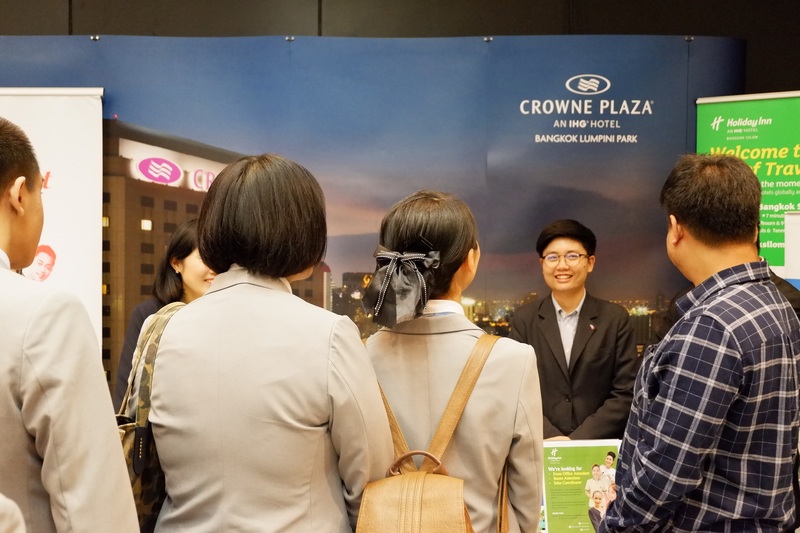 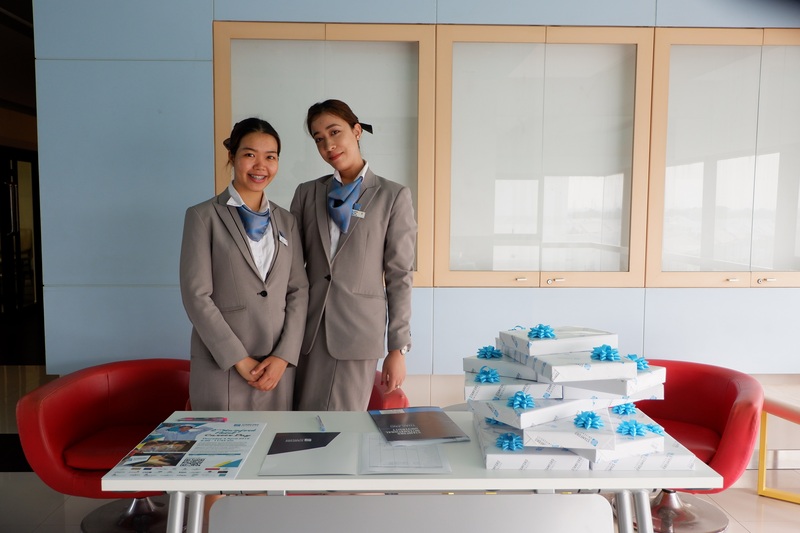 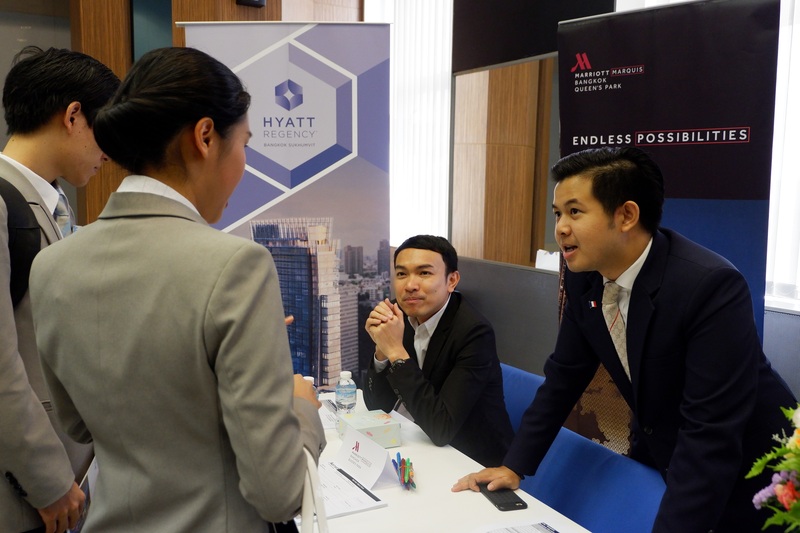 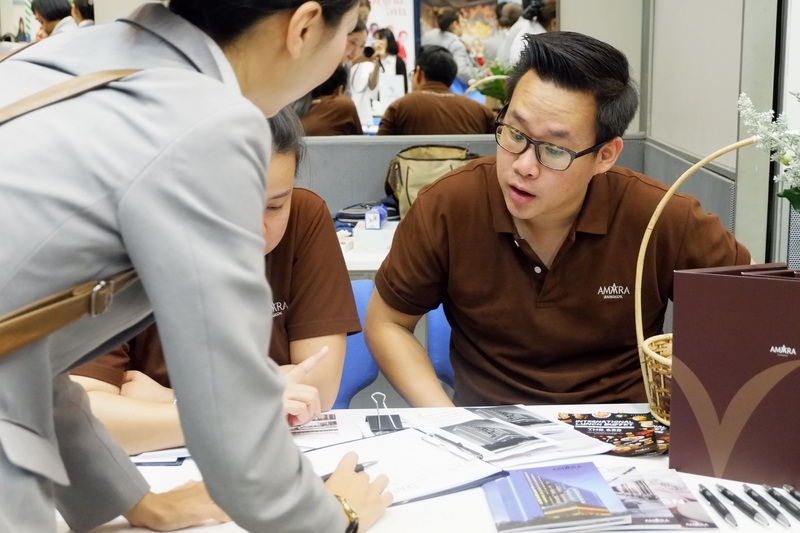 On April 4 2019 at Stamford International University, Rama 9 Campus – Stamford’s International Hotel Management program held its second ‘Stamford Hotel Career Day’, an event that opens the door to the hotel industry allowing students to meet and talk with professionals and recruiters from leading hotels in Thailand. 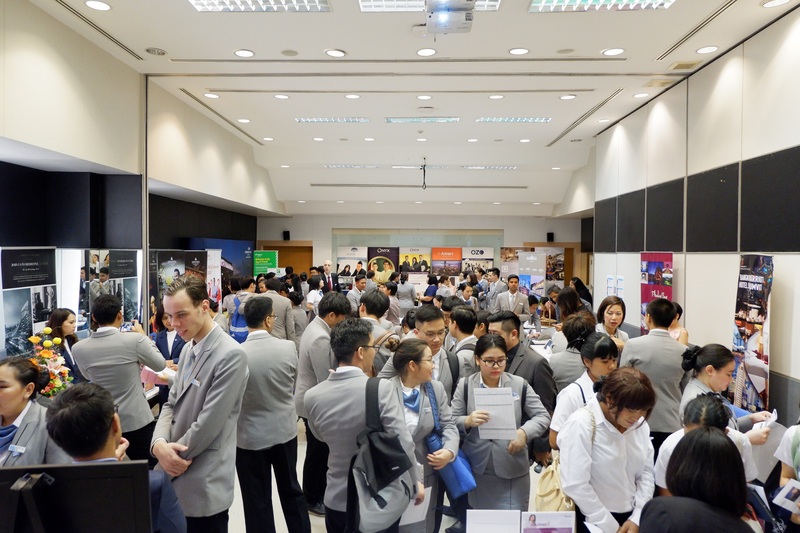 Hotels that joined the event include W Hotel, Marriott Marquis Bangkok Hotel, Siam Kempinski Bangkok Hotel, Hyatt Regency Hotel Sukhumvit, Anantara Siam Bangkok, Amara Bangkok Hotel, Phulay Bay, A Ritz-Carlton Reserve, Intercontinental Hotels Group, Onyx, Amari, and many more. 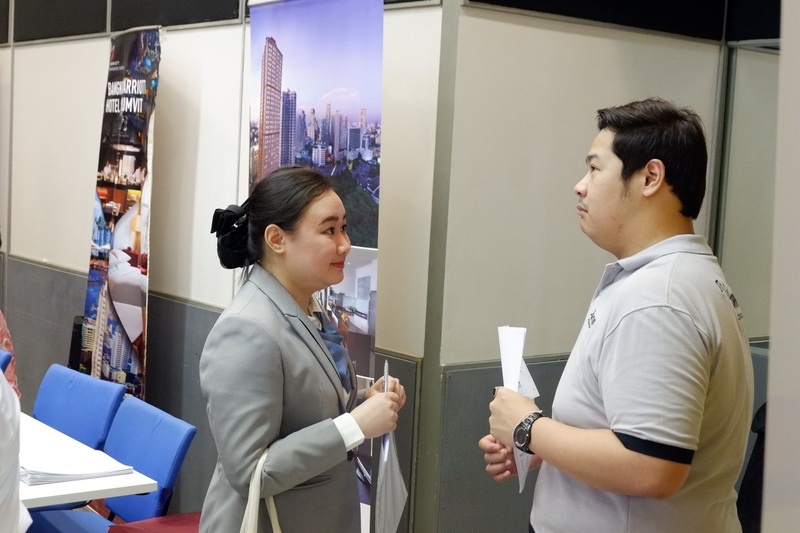 In the event, students had a chance to discuss about the job openings, internship opportunities, and industry requirements.